All IDPA Matches, Practices, and Classifiers are open to the public. You do not need to be a member of the Raccoon Hunters Club. Our IDPA Match Days are held on the 3rd Saturday of every month, April thru October. We run 2 matches with start times of 10:00 a.m. and 1:00 p.m. In-person Sign-Up / Registration opens one (1) hour before each match and closes promptly 15 minutes before the start of each match (9:45 a.m. and 12:45 p.m. respectively) to allow the staff time to complete the registration and squadding. The cost is $25 and $20 for WCRHC members displaying a current membership card. Any additional matches will be posted in the IDPA Special Events and News section below. ALL events are also posted on the Events Calendar. The Safety Briefing / Shooter’s Meeting starts 15 minutes before each match. NOTE: At this time, we are not allowing the use of PCC guns in our IDPA matches / practices. Once a policy has been established for how to run this division, and our Safety Officers trained on how to safely supervise their operation, we will revisit the issue. Summer IDPA Practices are held every Wednesday, April thru September. In-person Sign-Up / Registration opens at 5:00. The cost is $10 per shooter. Practice starts promptly at 6:00pm. A cease fire is called from 4:30PM to 6PM for setup on IDPA practice days. Winter IDPA Practices are held every Saturday morning from 10:00 am till noon, starting with the first Saturday after Thanksgiving. Details will be posted on this page above during that season, as well as on the calendar. Any additional practices will be posted in the IDPA Special Events and News section below. ALL events are also posted on the Events Calendar. We are not offering any Safety Officer classes at this time. 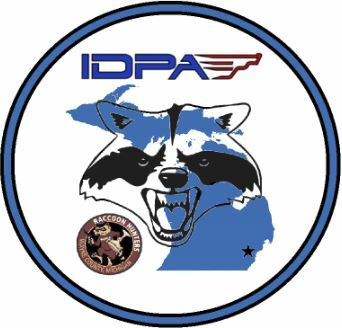 Information, per-requisites, and registration information for IDPA SO training at other clubs in Michigan can be found on the IDPA Michigan Area Website under the “SO Classes” heading. IDPA BUG or Specialty Matches will be held on the 5th Saturday of any month containing a 5th Saturday – April thru October. These will be 10 a.m. MORNING MATCH ONLY shoots! Registration opens at 9:00 a.m. and closes promptly at 9:45 a.m.. The cost is $20 per shooter. BUG Match is a holster start. Reloads on the clock. 6 stages. (Please no strip loaders, individual round loading, or single-action revolvers.) You can also shoot the match with your regular IDPA/USPSA competition gun for FUN. WCRHC IDPA BUG Champion for 2018, is Pete Gokey! Congrats Pete! WCRHC BUG Championship trophy as the BUG CHAMPION for 2018! Pete Gokey (Center) with his plaque and the WCRHC BUG Championship trophy. 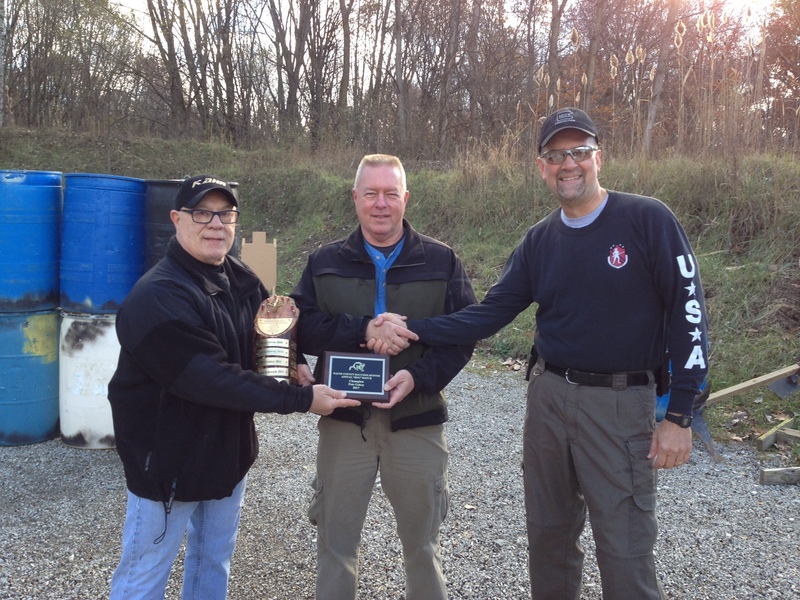 The success of any Club’s IDPA program is based primarily on you – the shooters. You are our customers. If you have any ideas on how we might make your IDPA experience at WCRHC better or more meaningful to you, please let me know. I truly appreciate your input.